The Catholic Jedi Academy: A "GOD's-Eye" View: Everyone On Earth Say "Cheese"! A "GOD's-Eye" View: Everyone On Earth Say "Cheese"! Here is a "GOD's-Eye" view of our planetary home-sweet-home, courtesy of the Cassini Orbiter Spacecraft! 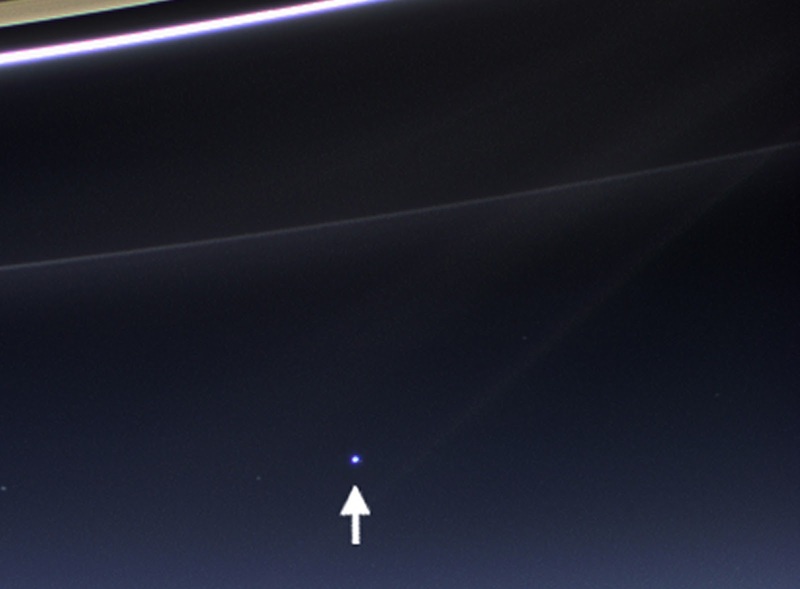 Earth, which is 898 million miles (1.44 billion kilometers) away in this image, appears as a blue dot; the moon can be seen as a fainter protrusion off earth's right side. The other bright dots nearby are stars. "The heavens declare the glory of GOD; the sky proclaims its Builder's craft. One day to the next conveys that message; one night to the next imparts that knowledge. There is no word or sound; no voice is heard; Yet their report goes forth through all the earth, their message, to the ends of the world. GOD has pitched there a tent for the sun; it comes forth like a bridegroom from his chamber, and like an athlete joyfully runs its course. From one end of the heavens it comes forth; its course runs through to the other; nothing escapes its heat." "Hallelujah! I How good to celebrate our GOD in song; how sweet to give fitting praise. The LORD ... Numbers all the stars, calls each of them by name. Great is our LORD, vast in power, with wisdom beyond measure." This is only the third time ever that Earth has been imaged from the outer solar system, and the first time that inhabitants of Earth knew in advance that their planet would be imaged. 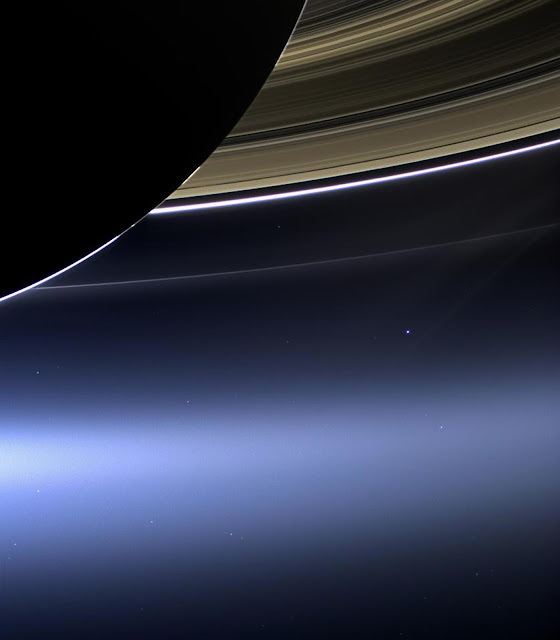 For more information about the Cassini-Huygens mission visit http://www.nasa.gov/cassini andhttp://saturn.jpl.nasa.gov.